Hi everyone! 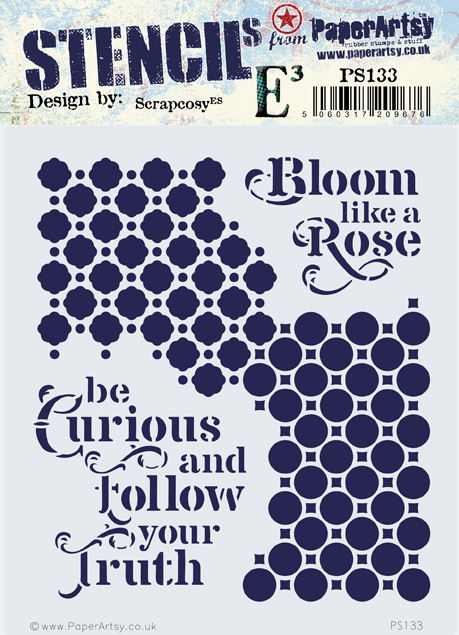 I’m super excited to share with you my newest release for PaperArtsy: 2 stamps and coordinating stencils. 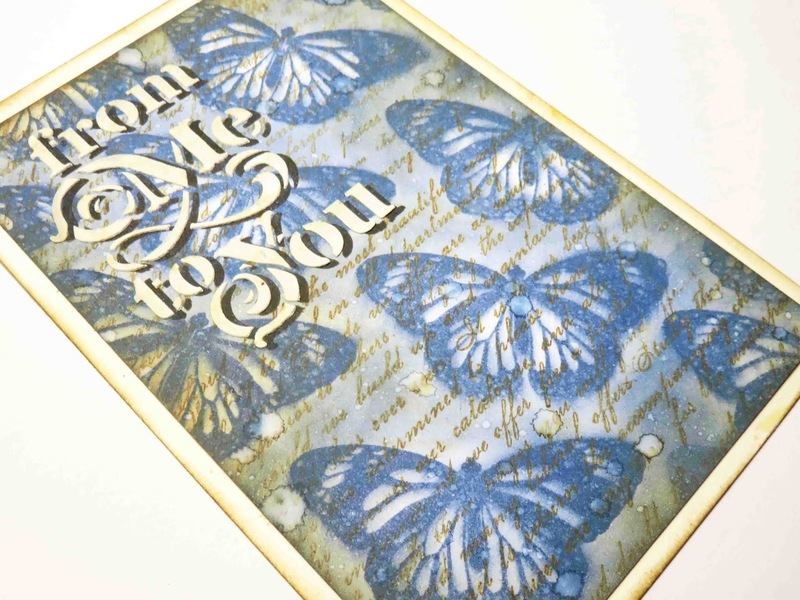 As you may know by now, I love vintage flowers and butterflies and other decorative vintage elements, so for this release I wanted to create 2 stamp sets with one big flower arrangement each, so we can simply stamp and colour and besides these, I wanted to add other surrounding elements that can help creating nice backgrounds and sentiments. Similarly, for the stencils, I went for my usual: patterns and sentiments. In this case just 2 patterns but lots of sentiments, since at the end of the day, I love stencilling these titles and use them as focal points in some of my creations. 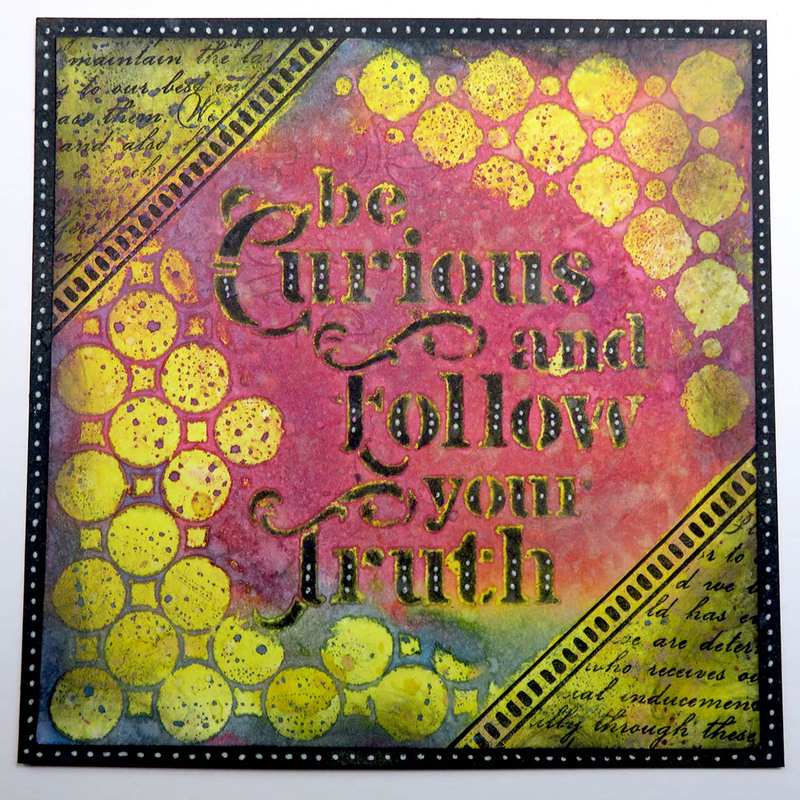 Over the next few days, we will be sharing ideas with my newest products by myself and Jennie Atkinson, just go to PaperArtsy blog. You can also see ideas on Instagram, Facebook, Twitter, Pinterest that Leandra and I will share. So no matter what your preferred social media platform, we will be sharing with you! Let’s start with some ideas with each of the new products. I love these flowers. I have a confession, they are actually made up! I mixed my favourite blossoms and my favourite leaves to make this bouquet combination which by the way, it’s meant to fit size 8 tags (I love them as a substrate!). And I love the background herbs, I can’t wait to emboss them in gold! I was going to just stamp and fussy cut the butterfly once, but I wanted to give it proper wings, so it’s done twice and glued in 3D (using foam and bending it) so that gives it a very airy finish. 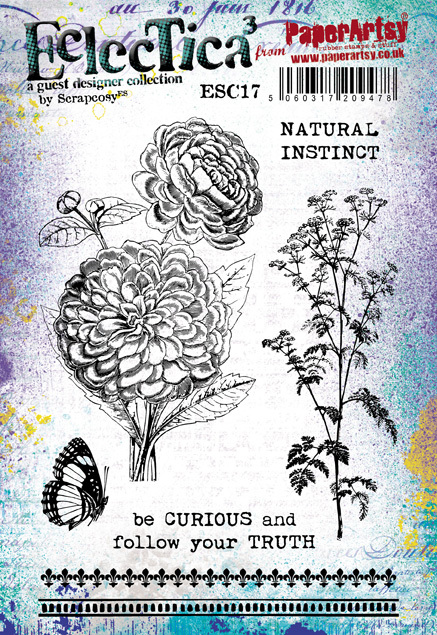 The original sentiment (be CURIOUS and follow your TRUTH) has been altered and now it reads something different, so you can mix and match the words NATURAL INSTINCT as you want to create your own sentence (4 different combinations if you do your maths). And I haven’t used the ribbons, but as you may have seen on the first sample that Leandra shared, that these are perfect to frame sentiments or whatever you want. I loved adding these when I did my previous release (tea related) and I wanted to add a couple more to complete the whole thing. 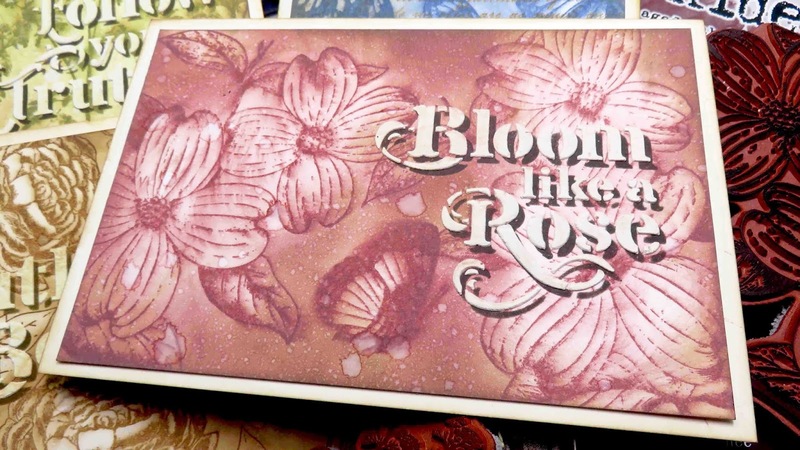 I love browsing old flowers catalogues from the past centuries and in one of them I found a letter from the company owner in a hand-written style font that I fell in love with, it’s perfect for backgrounds or even to stamp into Grunge Paste. And the round postage stamp mark had to be here. In my previous tea collection release I added postage stamps and now with this stamp, you can mark them and add an extra vintage mail related touch to your project. When I found these flowers I knew they were perfect to colour and fussy cutting, so it was no brainer, they had to be here as well (and again, perfect for a size 8 tag!). And the butterfly, well, I just love these creatures, so why not getting an even bigger version that before, so easy to cut and bend it to set it to fly! 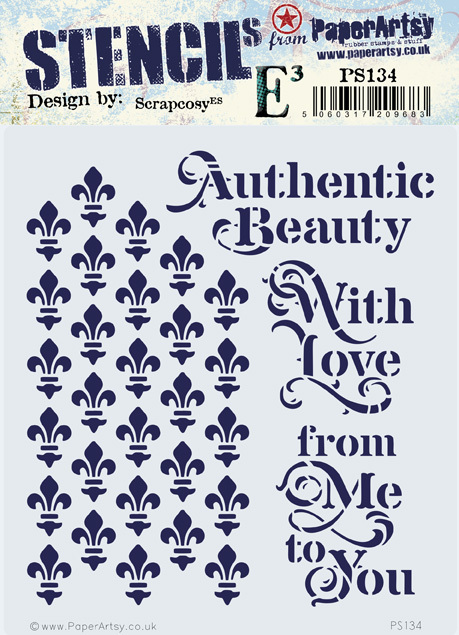 It’s been so long since I wanted to add a Fleur de Lis somewhere… that I decided to go for a patterned stencil that can be repeated to the infinite and beyond! In this sample I went for the same technique as before, using it with distress oxides and micro glaze, but as mentioned, it can be used with many other things and of course in my case, I will use it so much with Grunge paste! 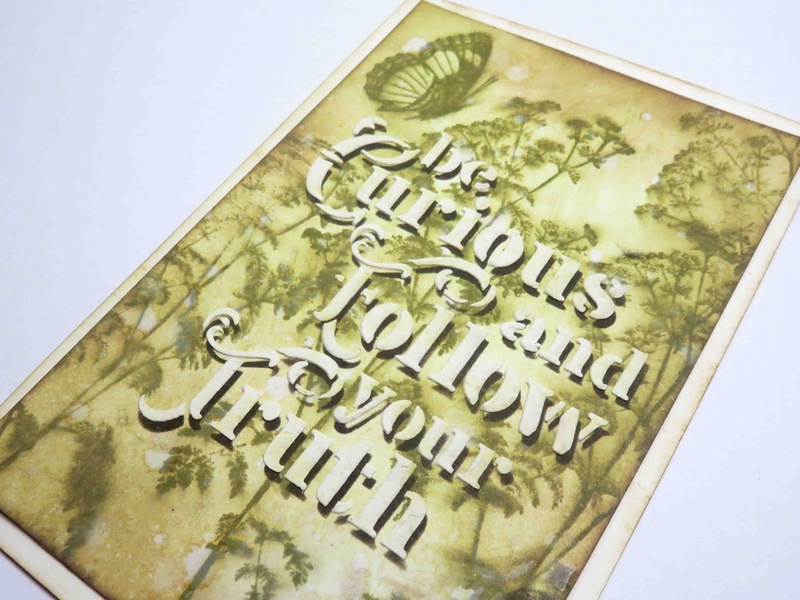 I love 3D stencilled areas. And since I love to work on size 8 tags, except for the biggest one, which can only be used on a landscape or diagonal way, the other 2 sentiments will match both ways on a tag (landscape and vertical), allowing you to create customised present tags for any occasion. You can say I went for a practical approach this time… Tip: try stencilling the pattern once and then match it upside down, you get a brand new pattern, very cool! In all cases, after stamping I add more ink to the background with the sponge, trying to keep the elements (the flowers in this case) with white areas, so you get a 3D effect. Then add some splashes of water (with spray or dropping some small drops on your surface) and either let it airdry or heat set with a heat tool. Once the background is ready, you can select the stencil of your choice and apply a first dark layer with an ink (waterproof). In this case I selected Versafine ink fallen leaves and I applied it with a sponge through the stencil. And finally magic comes when you re-position the stencil where it was, you shift it up 3mm and left 3mm (roughly, the more you shift it, the bigger the shadow) and apply Grunge paste through stencil. Lift stencil and watch the WOW outcome. That was all from me for today! I hope you like my new release! I’m very excited and by the time you read this I should be in Phoenix, about to head back home after the Creativation show! I would love to know what you think about the new products so feel free to share any thoughts or comments you have. I hope you liked it! Thanks for reading! And see you soon! 🙂 If you want to send any comments or subscribe, go to the end of the post below. Hi everyone! 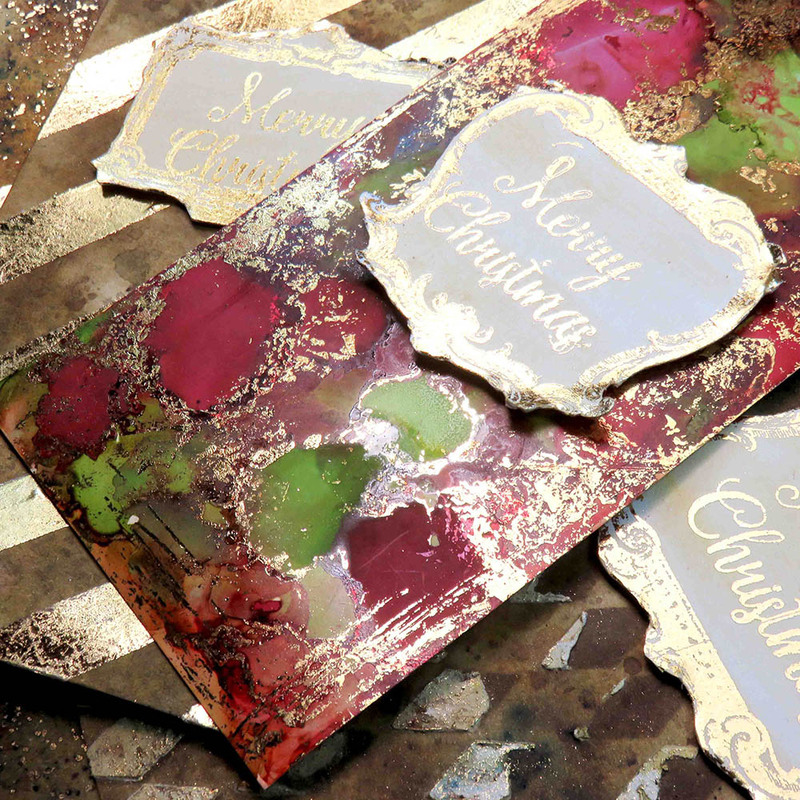 Today I’m sharing with you how to use foil in 6 different ways to create 4 different grungy vintage christmas tags. 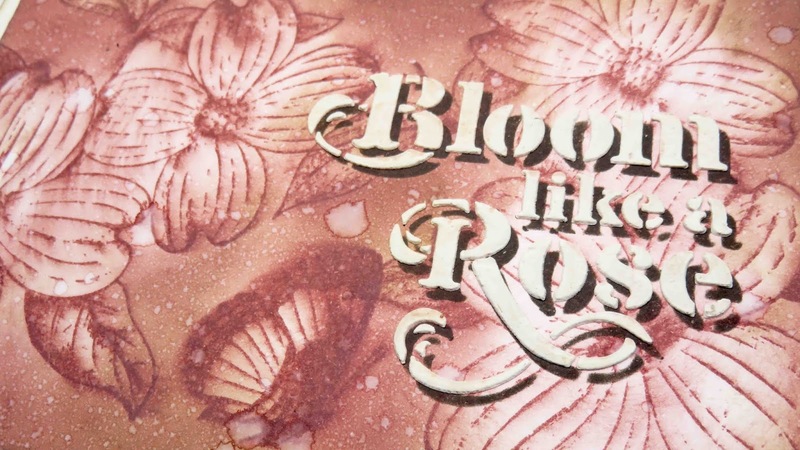 I’ve done this project for the current PaperArtsy blog fortnight Challenge which is about foil. I’ve prepared a video so you can see all the details of each technique 😉 Enjoy! Hola a todos! Hoy os enseño a usar foil de 6 formas diferentes para crear 4 tags vintage/grungy para Navidad. Las he preparado para el reto vigente en el blog de PaperArtsy. He creado un vídeo para que podáis ver al detalle cada técnica. Ya me diréis qué os parece en la sección de comentarios de abajo 😉 Espero que os guste! Hi everyone! 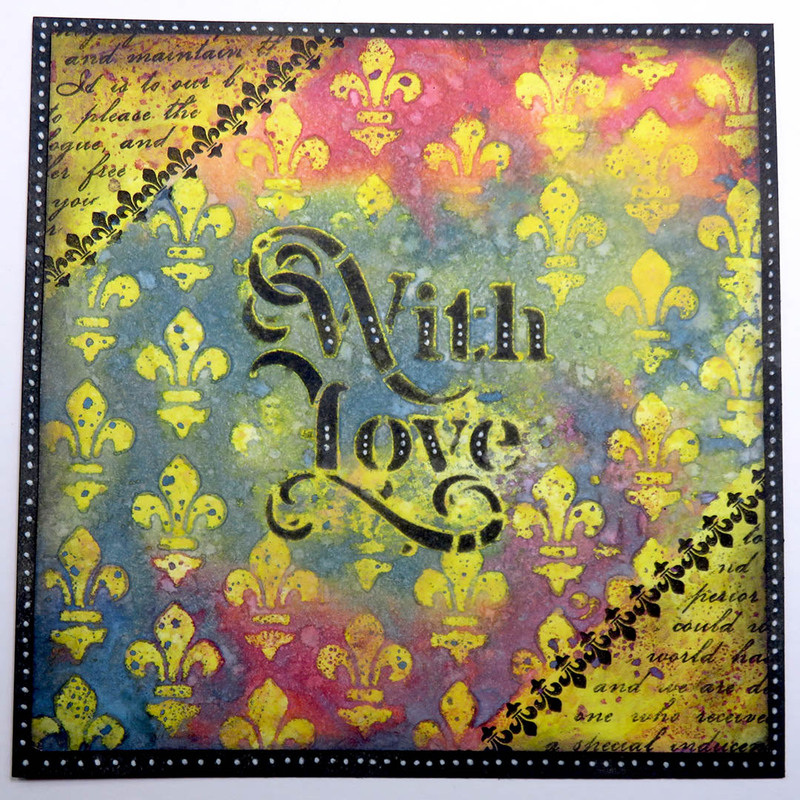 Today I’ sharing with you how to make these coasters with a waterproof finish, using my newest stamps and stencils that I’ve designed for PaperArtsy, all tea related. This is related to Topic 18: Stamp Platform Techniques, the current challenge at PaperArtsy blog. There is also a long video, so grab a cup of tea, and enjoy. Hola a todos! Hoy os enseño como crear estos posavasos con acabado resistente al agua, usando mis últimos sellos y estenciles que he diseñado para PaperArtsy, todos relacionados con el mundo del té. Este post va relacionado con el reto que ha propuesto PaperArtsy Topic 18: Stamp Platform Techniques. Ya me diréis qué os parece en la sección de comentarios de abajo. Hay un vídeo muy largo, así que preparaos una taza de té y a pasarlo bien! 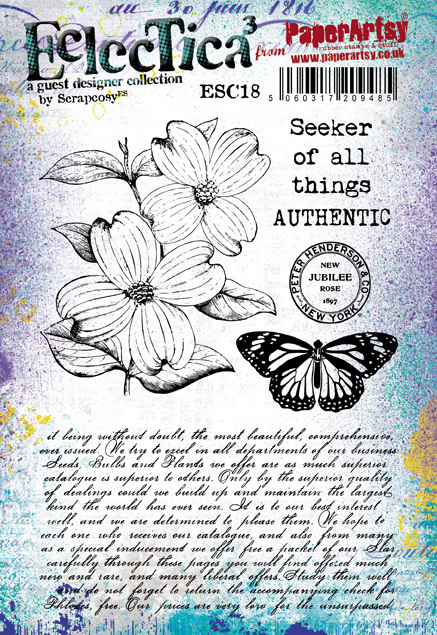 Release July 2018 – PaperArtsy and scrapcosy – Tea Time! Hi everyone! Today is a big day! 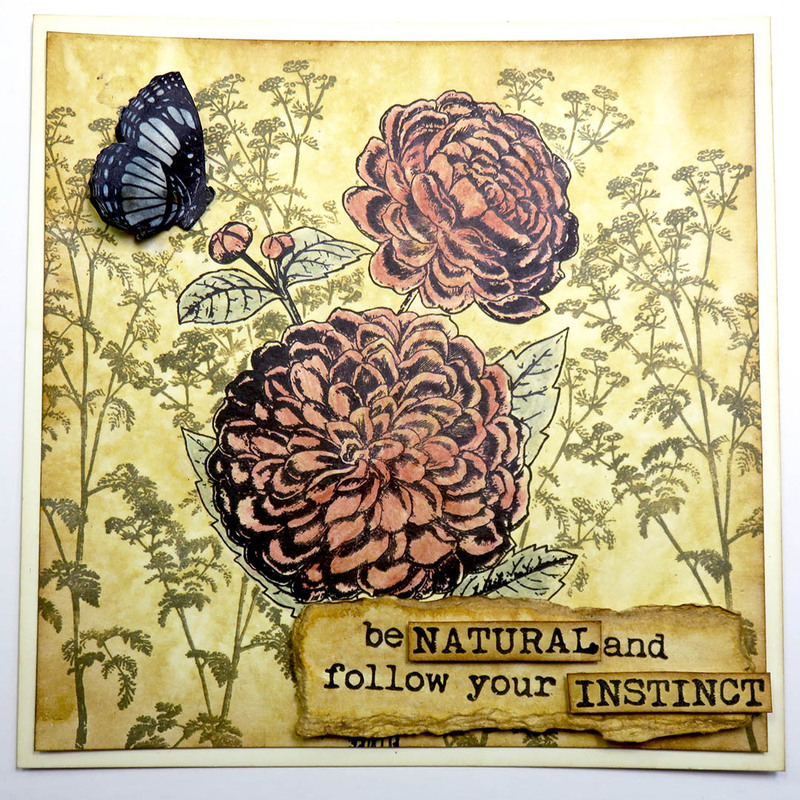 My new release of stamps and stencils is here! This is the collection of stamps that has always been in my mind to create: 100% tea related! ESC03 and PS051 were already a hint (tea import / map related). You can tell tea has a place in my heart when you read my blog header ends like “… all accompanied by a cup of tea”. I can’t picture a better crafting time than spending it with stamps, inks, tools, inspiration and a cup of tea with a warm teapot by my side to keep the taste entertained while my hands and my mind are working on what I love. And a scone with strawberry preserve and butter (even better with clotted cream, if I’m lucky to find it) will be also welcome to the crafty party. So let’s the party begin! Hola a todos! Hoy es un gran día! Mis nuevos sellos y estenciles están aquí! Esta es la colección que siempre había querido crear: 100% relacionada con el mundo del té! Los que me conocéis sabéis que té ocupa un rincón especial para mí. Así que sólo era cuestión de tiempo que esta colección se materializara. El sello ESC03 y el estencil a juego PS051 de mi primera colección ya eran una pequeña pista hacia esta temática (uno relacionado con mapas de navegación y el otro relacionado con la importación del té). Si os fijáis en la cabecera de mi blog (que acaba así “… all accompanied by a cup of tea” / “… todo acompañado con una taza de té), el té siempre ha estado ahí. Una tarde es perfecta para mí cuando estoy creando en mi mesa, rodeada de tintas, papeles, inspiración y una taza de té (si además nos acompañan un par de scones y mermelada de fresa, la tarde es todavía mejor). Pues sin mas dilación, que empiece la fiesta! Today’s post is a mix of things. Let’s start with the boring one, but very important, and then the other 2, which are more fun. a new Data Protection policy is coming to the EU. It’s mandatory that everyone and every company in possession of personal data from people in the EU takes care of dealing with their data properly, and it is also mandatory to clearly inform those people about the purpose of keeping and using that data. People have their right to be forgotten if they choose to do so, and any data stored from them in the systems should be deleted as applicable. Therefore, as a blogger, youtuber and Etsy shop owner I want to let you know that your data (email address / Name / real address (if you ever bought from me in Etsy)) is safely stored in the systems of WordPress, Youtube and Etsy, they have their own privacy agreements to which you agreed on, you can always unsubscribe at their platforms if you wish to do so. I have access to that data as a blogger, Youtuber and Etsy owner, I have never shared this information with anybody else or any other third parties and I will not do it, unless I’m forced to do so by law and by a request from the authorities. I will only use your data to contact you via email, using WordPress emails like this one, because you’ve subscribed to my blog, you’ve shown interest on me or my work and you want to be updated. You are always free to opt out and unsubscribe anytime by clicking the unsubscribe button included in these emails or by going to my blog or by sending me an email to scrapcosy@gmail.com requesting the same). Since you are a subscriber to my blog, you will receive information via email about all the projects I do, my new products being launched, new workshops I’ll be giving or giveaways I’ll be celebrating, anything related to the crafting world or to me that I think may be of your interest. If you are no longer interested, just click the unsubscribe button. Back in January I made a dream come true: I went to CHA (Creativation) for the first time! Last year I really enjoyed seeing the show through everybody’s eyes, that was the only thing I could do! This year, I wanted to see it in person, and I wanted to share my own experience with you, guys. So I brought my cameras with me and other gadgets (many of them, trust me) and although you may have seen my videos already in YouTube, now I’m ready to write the story as I’ve lived it and seen it. Here it is! Just keep reading after point 3. In February I went to Stitches, I gave a class, I enjoyed it a lot and apart from that I went to visit other stands. As part of that visit, I met Marion Emberson from WOW and she did a great demo of 2 techniques. I’ve prepared a video and here you can see it too. That’s all on stitches, let’s get the CHA party started! El post de hoy es una mezcla de cosas. Empecemos por la más aburrida, pero más importante y dejamos lo bueno para el final. Este mes de mayo entra en vigor una nueva política de protección de datos para los ciudadanos de la UE. Es de obligado cumplimiento que todas las personas y compañías que gestionan y almacenan datos personales de gente de la UE se responsabilicen de hacer un uso correcto y adecuado de estos datos, que informen a las personas del objetivo de almacenar esos datos y del presente y futuro uso que se va a hacer de ellos. La gente de la UE tiene el derecho a ser olvidados en los diferentes sistemas si así lo desean. Por lo tanto, como blogger, Youtuber y vendedora en mi tienda Etsy, os quiero informar de que vuestros datos (dirección de correo electrónico, nombre, dirección postal (si es que habéis comprado en mi tienda etsy)) se encuentran protegidos en esas plataformas bajo los acuerdos de privacidad y protección de datos que aceptasteis en su momento y yo tengo acceso a algunos de esos datos como gestora de mi blog, mi canal de YouTube y mi tienda Etsy. Yo nunca compartiré vuestra información con terceros a no ser que me lo requieran las autoridades por algún tema legal. Sólo utilizaré vuestros datos para contactar vía correo electrónico, usando los correos de WordPress como este, porque os habéis suscrito a mi blog, habéis mostrado interés en mí o en mi trabajo y queréis que os mantenga informados. Siempre podéis daros de baja de la lista de distribución dándole al botón “unsubscribe” que se encuentra en estos correos, o desde mi blog o enviándome un correo a scrapcosy@gmail.com solicitando que os dé de baja. Como suscriptores de mi blog, recibiréis información por correo sobre mis proyectos, los lanzamientos de mis nuevos productos, mis talleres, los sorteos que realice o cualquier otra cosa relacionada con el mundo de las manualidades que me apetezca compartir con vosotros. Si dejáis de estar interesados, apretad “unsubscribe” y ya no recibiréis mas correos. Este enero tuve la oportunidad de vivir un sueño hecho realidad: Fui al CHA (Creativation) por primera vez! El año pasado disfruté muchísimo viendo el show a través de los ojos de todo el mundo, es lo único que podía hacer! Este año quería verlo en persona y compartir mi experiencia con vosotros. Así que me traje todas mis cámaras y bártulos (muchos, demasiados…) y ya estoy lista para explicaros la historia tal y como la vi y viví. Seguid leyendo después del punto 3. Espero que lo disfrutéis! Por último, os traigo un nuevo vídeo de otra feria. En febrero fui a Stitches, en Birmingham y allí, además de dar un taller que disfruté un montón, pude pasear por todos las paradas y entre ellas pasé por WOW y me encontré con Marion Emberson quien hizo un par de demos de dos técnicas usando los polvos de embossing WOW. Muy chulas! Y ahora sí, que empiece la fiesta de Creativation! Hi everyone! Today I’m bringing you a project created for the topic Torn, Ripped, Burnt that PaperArtsy is holding on this fortnight challenge. Make sure you participate for the chance to win a £50 voucher to spend on their shop. 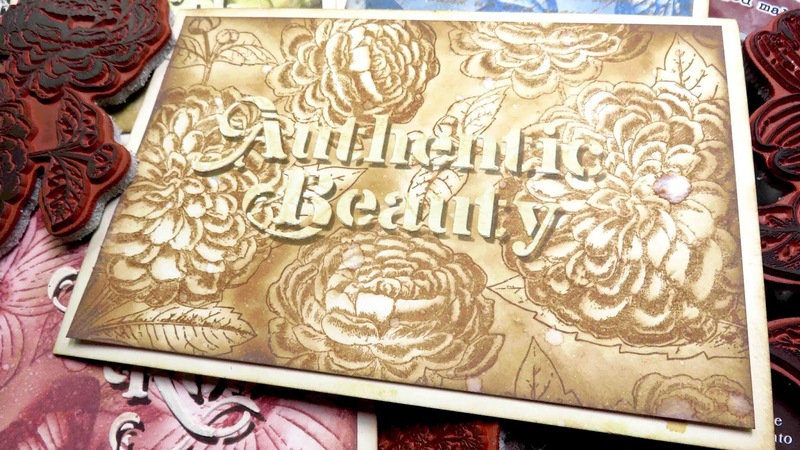 Once you see the stamps I used, you’re going to want to win! 😉 Enjoy! And make sure to watch the video! Hola a todos! Hoy os traigo un proyecto que he creado para el reto de esta quincena del blog de PaperArtsy que se llama Torn, Ripped, Burnt (Roto, Rasgado, Quemado). Participad que podéis ganar un vale de £50 para gastar en su tienda! Seguro que cuando veáis los sellos que he usado os entran las ganas locas de ganar el reto! 😉 Espero que os guste! Hay vídeo con todos los pasos!